Teachers, head teachers and support staff alike all know how much of a rare resource time can be in a school. When every day is so busy, choosing where to spend your time becomes vital and managing a social media presence is often one of those things deemed to be not worthwhile. Not only does the necessary time investment put some schools off, but many also see an inherent risk built into using social media, as its public nature may put the school in a difficult situation with unhappy parents. 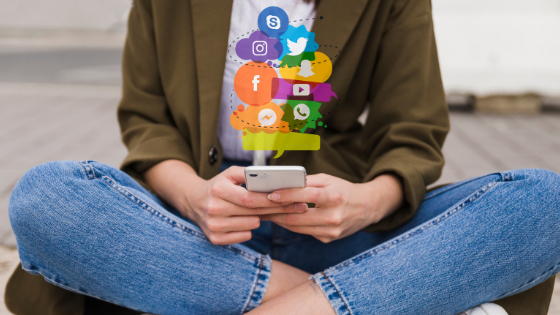 It is completely understandable that some schools find social media doesn’t suit them, digital marketing is all about finding where and how your voice fits best and, in some cases, this isn’t in the social space. For other schools though, social media can present unique opportunities to better connect with parents, pupils and the local community. In August 2018 the Office for National Statistics (ONS) released its annual data on internet usage in Great Britain and showed that 65% of people have recently used social networks such as Facebook and Twitter. Such a high level of engagement means that is has become a key channel for many, including schools. While a lot of social media may focus on cat pictures and people talking about what they had for dinner, more are using the likes of Facebook and Twitter as sources for news and information. Parents considering a new school, for example, may look towards social media posts to get a good idea of what day to day life is like in a particular school. Some existing parents may also subscribe to a school’s social media channels to see updates in a news feed they are already reading, instead of having to go out of their way to find it elsewhere. Concerns about negative comments are legitimate and can be difficult to know how to handle; each one requires individual consideration and to be treated with care. Despite this, being seen directly engaging with such comments positively and respectfully may help to cultivate a proactive, optimistic and confident image. It can sometimes be difficult to see how something that has changed communication as much as social media can fit in with a schools existing communications approach, but social media is not a trend or a fad that will disappear; it is a fundamental shift in the way people communicate and digest information. Social media now plays an important role in the day to day life of many parents; it is on their laptop at home, it is on their mobile phone, they are increasingly using both school websites and social media as their primary ways of engaging and communicating with their child’s school. No school needs to master every single social network available, but by investing a little bit of time in the likes of Twitter and Facebook, social media can open new ways of communicating and engaging with parents and the local community. By using social, schools can reach out to parents who have become disengaged and can talk to parents directly in a place they are already visiting multiple times a day. It can be a low-cost accompaniment to a school website and a mobile app, completing the digital picture and making sure a school is highly visible and shown at it’s very best in every major digital space. Over the coming months we will be delivering more content covering the subject of social media and how schools can make the most of it, so why not follow us on Twitter, Facebook or LinkedIn, or check out our resources section to find out more.